* ALGERIA (RLPB 449), where a government crackdown on the Church appears to be underway. As political parties and personalities jostle for position ahead of next year's presidential elections, it may be that the ruling party is eager to demonstrate its Islamic credentials. 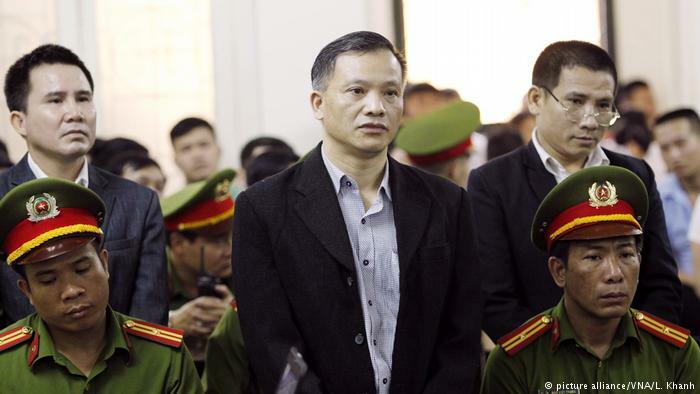 * VIETNAM (RLPB 450), where Christian religious liberty advocates, Nguyen Van Dai and Pastor Nguyen Trung Ton, have been sentenced, along with four others, to long prison terms. 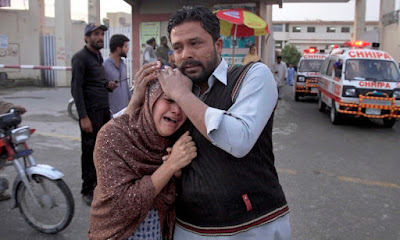 * PAKISTAN (RLPB 451), where Islamic State Khorasan Province (ISK-P) has claimed responsibility for three deadly terror attacks targeting Quetta's already exceedingly vulnerable Christian community. by Elizabeth Kendal, Religious Liberty Monitoring, 23 April 2018. Kachin Baptist Convention (KBC) pastors Dom Dawng Nawng (65) and La Jaw Gam Hseng (35) were abducted by the Burmese military on 24 December 2016 [RLPB 391 (25 Jan 2017)]. In October 2017 they were sentenced to four years and three months and two years and three months respectively for their alleged association with the Kachin Independence Organization (KIO), as well as for spying and for 'defaming' the Burmese military. All the men had done to earn the wrath of the military was to help journalists gain access to Mong Ko town after the Burmese military had bombed and torched it. The process was unjust; the conditions were harsh and Dom Dawng Nawng's health was deteriorating. We prayed for God to intervene [see RLPB 433 (21 Nov 2017)]. Morning Star News reports that on 17 April Dom Dawng Nawng and La Jaw Gam Hseng were among 8500 prisoners released under a government amnesty program ordered by newly elected President Win Myint. Elected on 28 March, Win Myint is himself a former political prisoner. Praise God for this blessing. Please continue to pray for Burma. Most persecuted Christians live counter-cultural lives amidst cultures which put a low value on Christian life, in states with little regard for human rights. When the police and local authorities hate Christians more than they respect the law or their duty to uphold the law, then the result is usually impunity for persecutors. When belligerents know that Christians can be bashed, raped, robbed and even murdered with impunity (i.e. without consequence or punishment), then violent persecution quickly becomes the order of the day. For Christians born and raised in the West, such extreme insecurity is (currently) unimaginable. On 14 April the church in Beni Meinin, a village in Beni Suef Governorate, came under attack by Muslims furious that members of the state's Building Authority Committee were coming to Beni Meinin to inspect the church building in preparation for legalising its church status. Shouting 'Allahu akbar' (Allah is the greatest) and 'We don't want a church in our village,' they attacked the church with stones and bricks. They smashed windows and doors and destroyed church property. Five Copts were injured. When police arrived they arrested an almost equal number of Muslims and Christians. Two days later, Coptic homes came under attack. Five Copts were arrested while trying to save their homes which were burning due to being hit with Molotov cocktails. The Copts were subsequently charged with setting fire to their own homes. Pressure is mounting for a so-called 'reconciliation session', which is Egyptian for peace without justice. The plan is that the Muslims will agree to end the violence in exchange for the Christians agreeing to close the church. Then the police will release the prisoners. In another village, Christians relented and closed their church to stop the Muslims from burning their homes. In Beni Meinin, however, the Christians are standing their ground and refusing to close the church. The situation is fluid and dangerous. Incitement is emanating from the mosque and violence is continuing, despite the presence of security forces. The church's presence has been a source of tension for some time. [For more details see Mada Masr (18 April).] Please pray for an end to impunity in Egypt, and especially for the situation in Beni Meinin. refusing to leave his side. 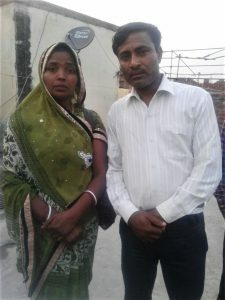 On 23 April Morning Star News (MSN) reported the horrific case of Pastor Rakesh Kumar Masih (42) from Firozabad District in Uttar Pradesh State. On 19 March, a mob of some 35 Hindu militants dragged Pastor Masih from his home and beat him unconscious in the presence of police. When MSN investigated on 13 April, the police denied knowledge of the incident. MSN subsequently forwarded the police a copy of the original complaint first filed on 20 March. Now we watch and wait. It was the fifth such assault against a pastor in the district since January. Please pray for an end to impunity in India. On 23 April Christian media reported on the death of Pakistani Christian woman Asma Yaqoob (25) who was burnt alive after she refused a marriage proposal from her Muslim 'friend' Muhammad Rizwan Gujar. As World Watch Monitor explains, police and investigators are clearly preparing the way for the charges against Gujar to be dismissed. Please pray for an end to impunity in Pakistan. On 2 March Iranian Christian convert Aziz Majidzadeh (54) was meeting with a group of 20 other Christians in a workshop near the city of Karaj when security forces raided the premises. Whilst most of the group were released after being interrogated, Majidzadeh, who has been arrested before for activities related to his faith, was beaten and detained. What followed was an agonising period of 45 days of silence in which Majidzadeh's condition and whereabouts were unknown. Then, on the weekend of 14-15 April, he was able to contact his family and inform them that he was being held in Tehran's notorious Evin Prison, Iran's primary prison for political prisoners. Please pray for Aziz Majidzadeh, for Iran's many Christian prisoners, and for Iran's fledgling but rapidly growing Church. AND RLPB 403, North Korea: Uncertainty looms over long-suffering church, 19 April 2017. Pastor Andrew Brunson's trial on charges relating to espionage and terrorism commenced on 16 April. After one traumatic day in court the proceedings were suspended for three weeks. Brunson will not face the court again until 7 May. In a devastating move, the court remanded Brunson to the overcrowded, grim facility in which he suffered a near breakdown in late 2016, before being transferred. The American Centre for Law and Justice (ACLJ) notes that the 62-page indictment accuses Brunson of the supposed 'crime' of 'Christianisation', calling it an 'act of terror'. With the trial now underway, US pressure on Turkey is mounting. On 20 April 66 US Senators signed a bi-partisan letter to Turkey's President Erdogan demanding Brunson's immediate release. [Letter (pdf)]. In reply, Erdogan reiterated his position that the US cannot expect Turkey to release Brunson while the US refuses Turkey's request that US-based Turkish cleric Fethullah Gulen be extradited back to Turkey, essentially confirming that Pastor Andrew Brunson is Erdogan's hostage. Pray for Pastor Andrew Brunson as he 'waits for the Lord' (Isaiah 40:28-31). President Erdogan continues to exploit US-Turkey tensions to further fuel the rise of Islamo-Turkish nationalism, which, as history demonstrates, is an exceedingly dangerous phenomenon. Sources report that Christians in Turkey are increasingly being accused of supporting 'terrorists' (code for 'Kurds'). It must be noted that Erdogan revived the language of the Armenian Genocide on national television when in June 2016 he described Turkey's Christian Armenians as 'separatist terrorists'. [See also: Religious Liberty Monitoring, 24 April 2018 (Armenian Genocide Memorial Day).] According to local sources, apprehension and anxiety are growing in the churches. 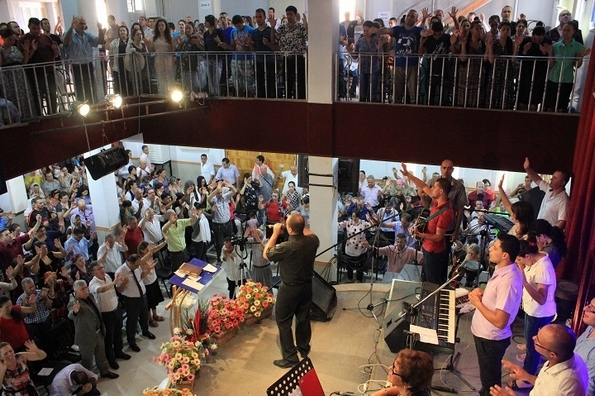 Yet, despite the escalating sense of crisis, Turkish Christian ministries continue to witness courageously, fully aware that spiritual transformation through Jesus Christ is ultimately Turkey's only hope. Please pray for Turkey and for her threatened, yet witnessing, remnant Church. Christians comprise less than two percent of Pakistan's 200 million people. Systematic racial and religious discrimination ensure Christians remain poor, powerless and persecuted. 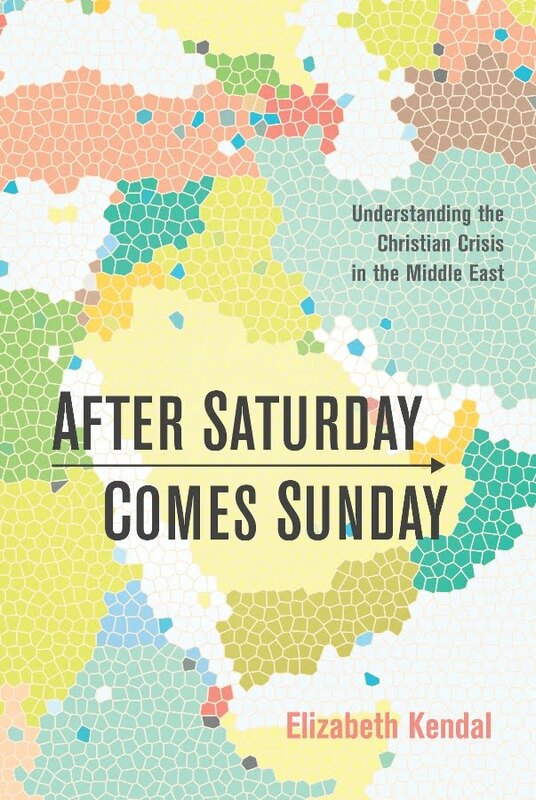 However, as fundamentalist Islam rises, Islamic jihad spreads and lawlessness deepens, Christian vulnerability and insecurity approach crisis levels. In recent months, Islamic State's franchise in 'Khorasan Province' (Afghanistan and surrounds) has claimed responsibility for three deadly attacks targeting Christians in Quetta, the capital of Pakistan's sparsely populated Balochistan Province. On Sunday 17 December at least nine people were killed and more than 50 injured when two suicide bombers blew themselves up at Bethel Memorial Methodist Church. Islamic State Khorasan Province (ISK-P) claimed responsibility [see RLPB 437 (19 Dec 2017)]. On Easter Monday evening 2 April four members of a Christian family were travelling along Quetta's Shah Zaman road when militants on a motorbike intercepted their rickshaw and opened fire. A young girl was wounded; she was rushed to hospital. Her father and three male cousins were killed. Tariq Masih, a relative of the victims said, 'They were guests of ours, they came from Punjab [Province] to celebrate Easter. As they left the house to go to the bazaar after dinner ... they were fired upon.' Provincial police have labelled it 'a targeted attack' and 'an act of terrorism'. ISK-P claimed responsibility, boasting that a 'covert unit' of ISK-P shot the Christians 'which resulted in the killing of four of them, and all praise is due to Allah'. On Sunday 15 April four men on two motorbikes opened fire on Christians in Quetta's Isa Nagri (City of Jesus, a Christian neighbourhood). Some of the victims were emerging from a worship service; others were just sitting in front of their homes. The victims were rushed to Bolan Medical Complex, Quetta. Azhar Iqbal (26) died at the scene while Rashid (or Rahib) Khalid (16) died at the hospital. Two young girls -- Mehvish William (13) and Sunaina Shakil (11) -- were wounded, as was Chaudhry Samuel (38), a prominent figure in Isa Nagri. [For more images and details see Morning Star News.] According to a doctor, all the victims received multiple bullet wounds. Around 500 Christians filled the streets and demanded the government improve security. Amjad Faryad, an uncle of slain Rashid Khalid, gave voice to Christian fears: 'Why are we coming under attack?' he asked. 'Terrorists are freely attacking us but security forces and the provincial government are playing the role of silent spectator.' Once again, ISK-P claimed responsibility. Azhar Iqbal's widow grieves outside the hospital, Sunday 15 April 2018. ISK-P was officially launched in January 2015. The Pakistan Army rejects ISK-P's claims of responsibility and continues to insist that ISK-P does not have a presence in Balochistan. Similarly, the US rejects Russia's assertion that the growth of ISK-P in Afghanistan is 'rather serious', and has criticised Russia's efforts to foster security co-operation in the region. Yet, according to a report in Jamestown Foundation's Terrorism Monitor (26 January 2018), 'Wilayat-e-Khorasan, the Islamic State (IS) affiliate in the borderlands of Afghanistan and Pakistan, is one of the terrorist group's strongest franchises. Bolstered by defections from the Taliban and boosted further in recent months by an influx of foreign fighters fleeing defeat in Iraq and Syria, IS Khorasan Province (ISK-P) is growing in strength and influence.' Pakistan's Christians, especially those in Quetta, would surely agree with the Russian assessment that this is indeed 'rather serious'. 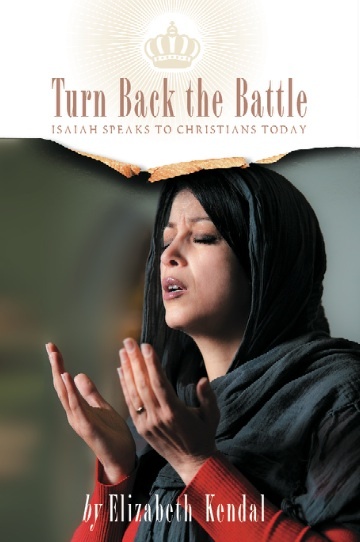 * intervene in Afghanistan and Pakistan at the grassroots level; may the Spirit of God move to open eyes, unstop ears and soften hearts so that evil will be recognised and rejected, and so the Gospel of grace will be seen, heard and received. Christians comprise a mere two percent of Pakistan's population. Intolerant, fundamentalist Islam is ascendant and Islamic State -- which is growing in Afghanistan -- is making inroads. On Sunday 17 December suicide bombers targeted a church in Quetta, killing nine worshippers and wounding some fifty. On Easter Monday 2 April gunmen on a motorbike targeted a Christian family in Quetta, wounding a young girl while killing her father and three cousins. On Sunday 15 April gunmen on two motorbikes targeted Christians in Quetta's Isa Nagri (a Christian neighbourhood), killing two and critically wounding three others. After each deadly attack, Islamic State Khorasan Province claimed responsibility. Please pray for God to intervene in Afghanistan and Pakistan. Pray for the Church in Pakistan and especially for Quetta's grieving and imperilled believers. On Tuesday 3 April the Information Office of China's State Council released a White Paper entitled 'China's Policies and Practices on Protecting Freedom of Religious Belief''. The White Paper assures us that 'the state respects citizens' freedom to religious belief and protects their normal religious activities' (emphasis mine). It also explains that the Chinese Communist Party (CCP) will continue to manage religious affairs 'in accordance with the law' and 'provide active guidance to religions so that they can adapt themselves to the socialist society'. China's recent actions serve to demonstrate how religious freedom, management and guidance will be exercised in practice. The CCP has always sought to control Bible availability and distribution. Of all China's major religions -- including Buddhism, Taoism, Islam and folk beliefs -- Christianity is the only religion whose scripture or holy text cannot be sold through normal commercial channels. By law, Bibles must be printed in China by the CCP-approved printer for sale only in CCP-approved churches. It used to be that the only way to meet demand was through Bible smuggling. Then, with the emergence of online retailers, a loophole opened up through which Bibles could be easily purchased. The CCP has now closed that loophole precisely so it might enforce compliance to the law. By 30 March, Chinese consumers were finding that Bibles were no longer available online. In some cases searches yielded no results. In other cases the Bible, though available, could not be added to the shopping cart. Some Christian bookstores have had their online stores shut down entirely. Two days earlier, on 28 March, China's State Administration for Religious Affairs (SARA) released an official document entitled 'Principle for Promoting the Chinese Christianity in China for the Next Five Years (2018-2022). [Note: SARA is in the process of being dissolved into the Central Committee's United Front Work Department, a department tasked with ensuring all Chinese, at home and abroad, maintain a united front.] Significantly, the document was launched in Nanjing, the home of Amity Printing, which is the world's largest, and China's only CCP-approved, Bible printer. A key element of the five-year-plan is the goal to establish a Chinese-style Christianity and theology to 'consciously develop Bible study talents to lay a solid foundation for re-interpreting and re-translating the Bible or writing the reference books'. It would be reasonable to assume that in the years to come China will not only have legal (CCP-approved) and illegal churches, but legal (CCP-approved) and illegal Bibles. Legal Bibles will be 'reinterpreted' Sinicised Bibles printed in China by the CCP-approved printer (creating a dilemma for Amity) and sold only in legal (CCP-approved) churches (creating a dilemma for those churches) under Big Brother's watchful eye (a surveillance camera loaded with cutting-edge facial recognition software [see RLPB 415 of 19 Jul 2017]). 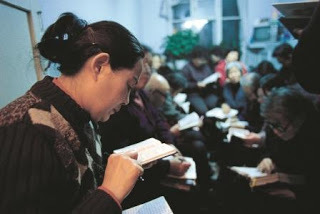 * sustain and encourage the Church in China as darkness closes in and threat escalates; may the Lord bless all church leaders with divine wisdom as they seek to lead Christ's precious flock through the difficult days ahead; may the Lord flood his Church with all the faith and grace they will require, not merely to endure but to shine. pro-democracy activist and educator. Sentenced to 15 yrs jail, Hanoi, 5 April. 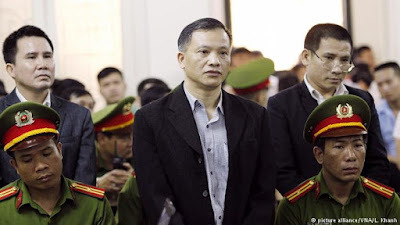 has conducted attempts to overthrow the Government, stands trial in Hà Nội on April 5." On 5 April the Hanoi People's Court imposed long prison terms to six human rights activists. RLPB intercessors will be familiar with two of them: human rights lawyer Mr Nguyen Van Dai (48) and Pastor Nguyen Trung Ton (46). Both men are devout Protestant Christians and courageous religious liberty advocates. Both have suffered beatings and imprisonment for the crime of 'spreading propaganda against the Socialist Republic of Vietnam'. Dai was re-arrested in December 2015, along with his assistant Ms Le Thu Ha. [See RLPB 354 (27 Apr 2016)]. The other four activists tried on 5 April were arrested in July 2017. All six were then charged with the more serious crime of 'carrying out activities aimed at overthrowing the People's administration' [see RLPB 417 (2 Aug 2017)]. As regime mouthpiece Viet Nam News (VNS) reported on 5 April, the defendants stood accused of exploiting their illegal pro-democracy platform -- Brotherhood for Democracy (founded by Dai in 2013) -- as a cover for subversive activities aimed at overthrowing the People's Administration. As the alleged 'instigator', Dai was sentenced to 15 years in prison followed by five years house arrest. The others, described as Dai's 'cohorts', received lesser sentences. One who pleaded guilty received seven years; as an assistant, Ms Le Thu Ha received nine years in prison followed by a surveillance period of two years; while the remaining three received 11- and 12-year prison terms followed by three years' house arrest. Pastor Ton, who is carrying painful injuries [see RLPB 448 (28 Mar 2018)] received a 12-year sentence. 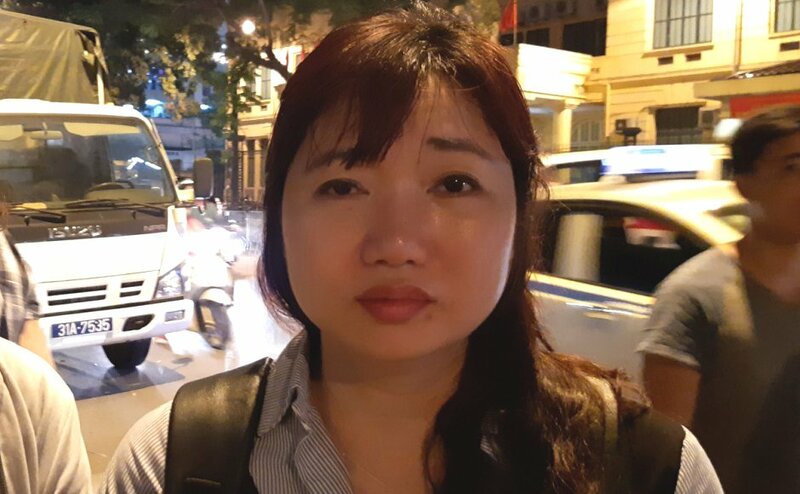 Commenting on the trial, foreign ministry spokeswoman, Le Thi Thu Hang, praised her country's human rights and insisted there was no such thing as a 'prisoner of conscience', because in Vietnam nobody is ever arrested for freely expressing their opinion. However, according to an Amnesty International report published on 4 April, 'There are at least 97 prisoners of conscience languishing in jails in Viet Nam, many of whom are kept incommunicado in squalid conditions and routinely subjected to torture or other ill-treatment'. China and Vietnam are Communist Party-ruled totalitarian states that have opened up economically in pursuit of prosperity. Both are mitigating the risks of openness by escalating repression and moving to exert greater control over their citizens by cracking down on speech, religion and association. In China, it is no longer possible to purchase Bibles on-line as the authorities move to take control not only of availability and distribution, but of the text itself. In Vietnam, as in China, human rights and religious liberty advocacy is undertaken at great personal risk. On 5 April two Christian religious liberty advocates -- human rights lawyer Nguyen Van Dai (48) and Pastor Nguyen Trung Ton (46) -- received 15- and 12-year prison terms respectively after the court deemed them guilty of subversion. Please pray. Algeria's population is 97 percent Muslim; most are Arabs and Arabised Berbers. [Berbers, or Amazigh, are the indigenous peoples of the Maghreb. 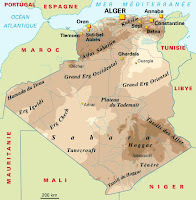 They comprise 23 percent of the population of Algeria.] The growth of Christianity amongst North Africa's Berbers, especially in Algeria's Kabyle region east of Algiers, is linked to the revival of Berber cultural identity that has been sweeping North Africa since the 1970s. Algeria held parliamentary elections in 1991. When Islamists won the first round of voting, the government cancelled the second round and declared a state of emergency. The result was a horrendous civil war which pitted Islamist against government forces and claimed the lives of some 200,000 Algerians. Whilst the war officially ended in 2002, hardline jihadists aligned with al-Qaeda spread into the Sahel and switched their focus from war/jihad to terrorism and kidnapping for ransom. In February 2006 the Algerian government passed a Charter for Peace and National Reconciliation. As part of the deal, some 10,000 Islamic militants were granted amnesty and released from prison. A few weeks later, in March 2006, the Algerian government enacted Presidential Order 06-03 which mandates fines and prison terms for anyone who 'incites, constrains or uses seductive means seeking to convert a Muslim to another religion ... or who produces, stores or distributes printed documents or audio-visual formats or any other format or means which seeks to shake the faith of a Muslim'. Then, in June 2007, the government amended the religion law to create the 'National Commission for Non-Muslim Faiths' and massively increase the regulation of Christian churches, especially those deemed 'extremist' (i.e., evangelical). Now Christian activities may only take place within government-approved associations and structures. The government has allowed itself to be trapped essentially in an eternal balancing act. To ensure security and stability it must repress domestic fundamentalist and militant Islam. To compensate and appease the Islamists it must repress Christianity, by which means it also bolsters its Islamic credentials. Further compensation and appeasement is achieved by providing sanctuary to jihadists (such as al-Qaeda's JNIM) along the southern border and by refusing to support regional anti-terror efforts. This is nothing but pragmatic cowardice. Persecution has been escalating since late 2017. On 8 March one pastor received a fine and a three-month suspended prison sentence for 'proselytising' in violation of Order 06-03. The same day, two brothers were handed large fines and suspended sentences for being found (in 2015) in possession of some 50 Bibles. Accused of 'proselytising', the brothers insist the Bibles were purchased for church use only. Most critically, twenty-five of the forty-five churches belonging to the Protestant Church of Algeria (l'Église Protestante d'Algerie, or EPA) have received notices to comply with new standards or face closure. Indeed, four churches have been closed in the last four months -- three EPA churches in the coastal city of Oran (400km west of Algiers) and an independent village church in Azagher which is near Akbou in Kabyle region. In each case the authorities cited lack of state approval and non-compliance with building regulations. The uptick in repression may well be linked to the political tensions currently stirring in Algiers. Algeria's next presidential election is due in 2019. With President Bouteflika (81) looking increasingly incapacitated, the jockeying for power -- especially between the two major parties -- has already begun. That said, despite his obvious frailty (the result of suffering a stroke in 2013), many fear Bouteflika might decide to run for and seize a fifth term. Strikes and riots are on the increase and observers are anticipating a year of escalating unrest. Maybe we should anticipate a year of escalating repression and persecution as the ruling party seeks to establish itself as a champion and defender of Islam. Phenomenal Church growth among Berbers. * invade and transform the Algerian situation, so that Algerians en masse will reject repression and yearn for liberty, including religious liberty. 'For nothing will be impossible with God' (Luke 1:37 ESV). * raise up Algerian leaders -- not only in politics, but in all fields -- who will be strong and courageous, prepared to tackle difficult issues (fundamentalist Islam and religious freedom) and genuine threats (regional and domestic terrorism); leaders who could lead the Algerian people to real peace, real openness and real liberty. * pour out his Holy Spirit on Algeria's emerging and growing Church, so that wisdom, courage and grace will abound in the midst of escalating repression. May the Lord give all pastors and Christian leaders great wisdom to navigate these difficult days. 'My grace is sufficient for you ...' (the promise of 2 Corinthians 12:7-10). PRAISE AND THANK GOD for sustaining Slimane Bouhafs (51), a Kabyle Christian and convert from Islam, through a very difficult 18 months in prison. Arrested in July 2016 for 'insulting Islam' [see RLPB 372 (24 Aug 2016)], Bouhafs was released on Easter Sunday, 1 April, and reunited with his family. Algeria's Presidential Decree of March 2006 made any form of witness to Muslims a criminal offence. Amendments to the law in June 2007 mandated that Christian activities could only take place within government-approved associations and structures. The repressive measures are the efforts of a regime eager to appease fundamentalist and militant Islamists. Persecution has escalated in recent months. Four churches have been closed and 25 of the country's 45 Protestant churches have received notices to comply with the new regulation or face closure. The escalating repression could be an attempt by the ruling party to demonstrate its Islamic credentials ahead of the 2019 presidential elections. Please pray for Algeria; pray specifically that God will raise up good leaders. May Algeria's emerging Church have wisdom and grace for these testing times.